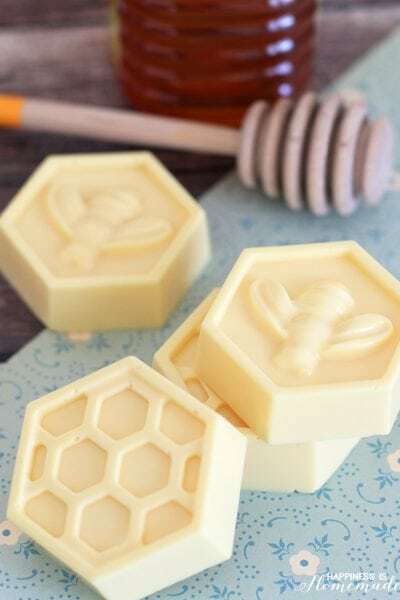 I love Valentine’s Day, and I especially love creating sweet gifts for my boys and their friends. 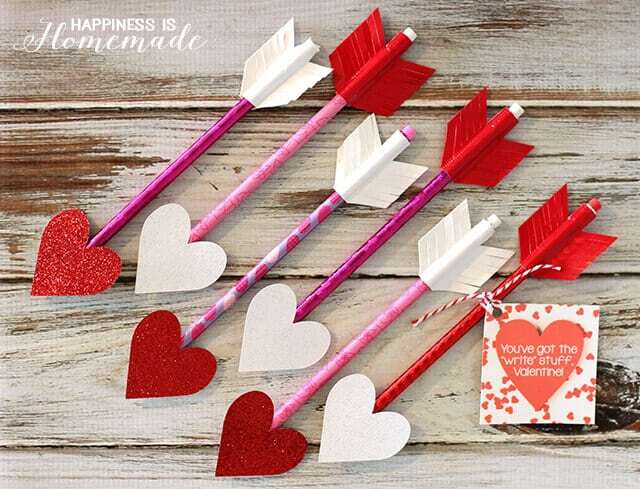 I wanted to focus on making a non-candy Valentine treat since our homeschool group does a sugar-free celebration, and I came up with these adorable heart arrow pencils + a printable “You’ve got the write stuff, Valentine!” card. 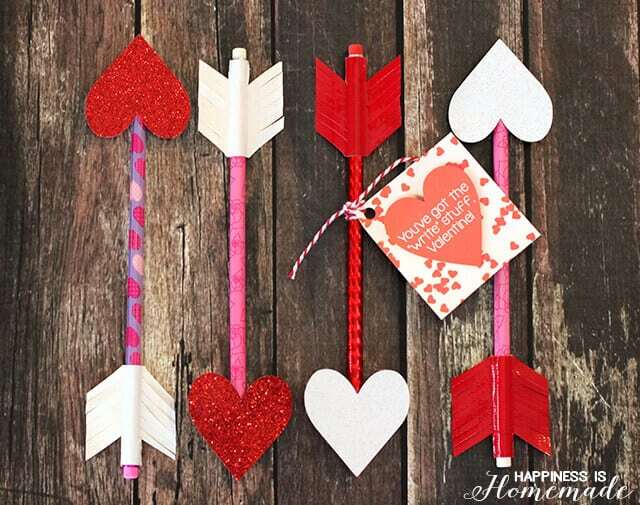 All it takes to create these cute arrows are holiday pencils, Duck Tape, paper and glue! 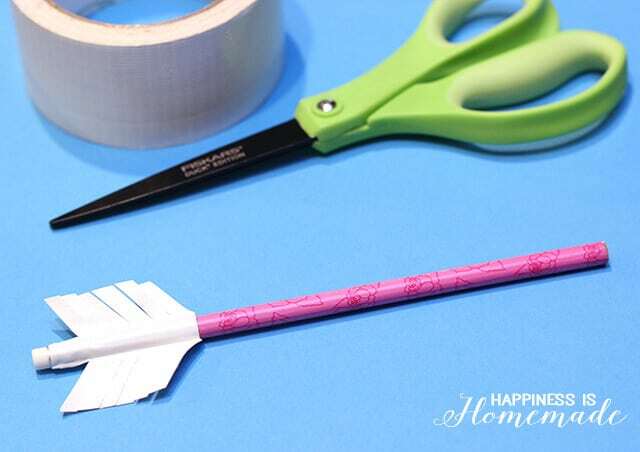 To create the arrow’s feathers, I folded a strip of Duck Tape around the eraser end of the pencil and cut it to shape with non-stick Duck Tape Scissors (one of the handiest tools ever!). 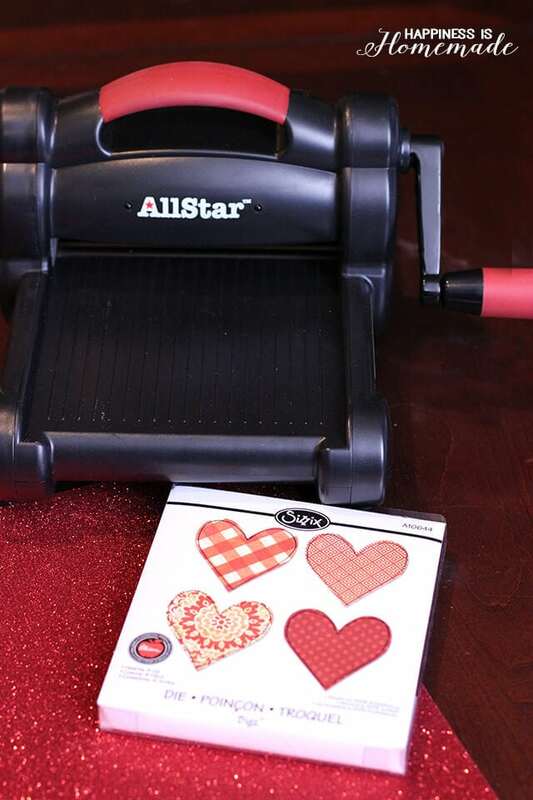 Glitter paper is perfect for the heart arrow tips, and there’s no quicker way to cut loads of glitter hearts than with my Ellison AllStar SuperStar machine! 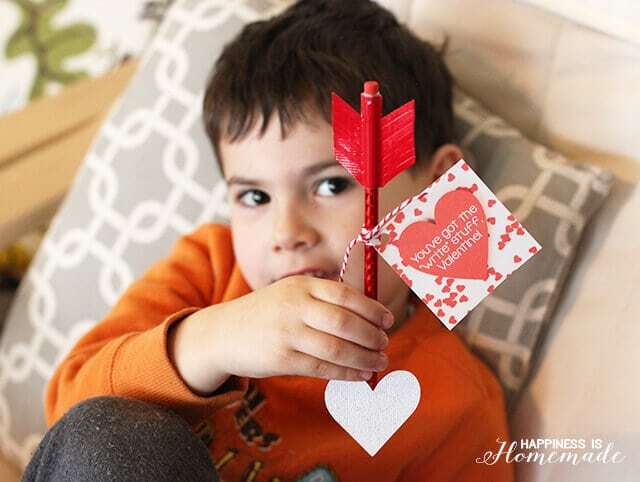 I used the 4-Up Hearts die #A10644 (one of my favorites!) 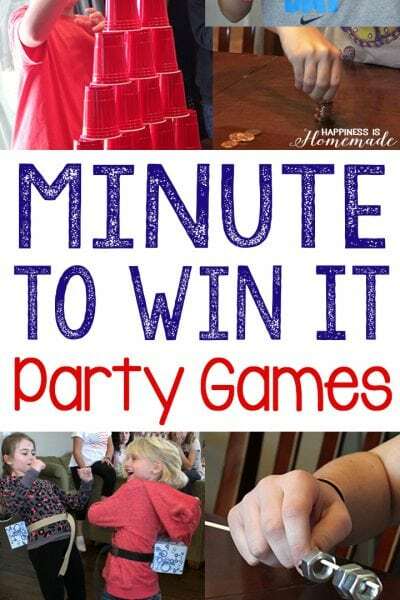 because they’re the ideal size for this project. 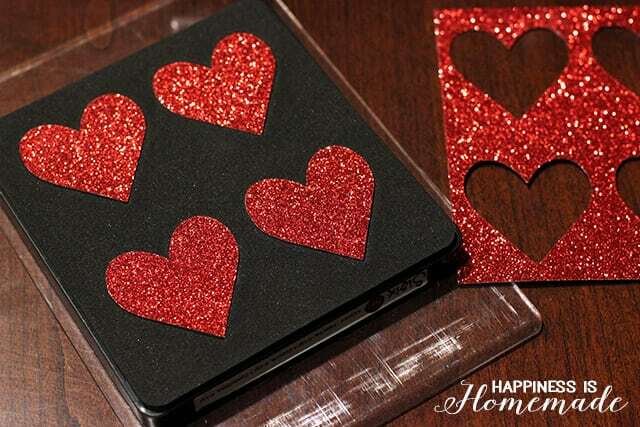 I can crank out tons of these sparkly hearts in just a few minutes! 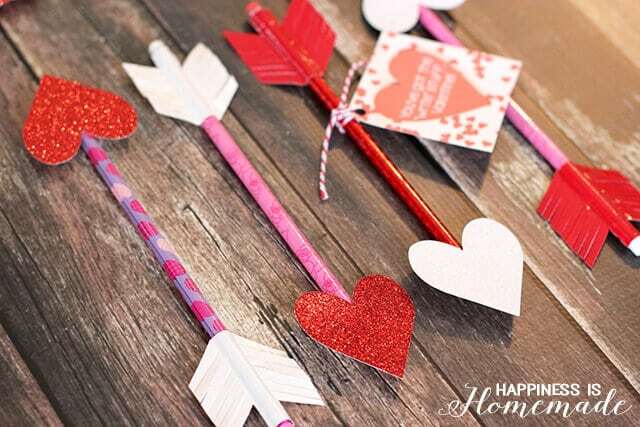 A dab of hot glue is used to attach the hearts to the tip of the pencil. 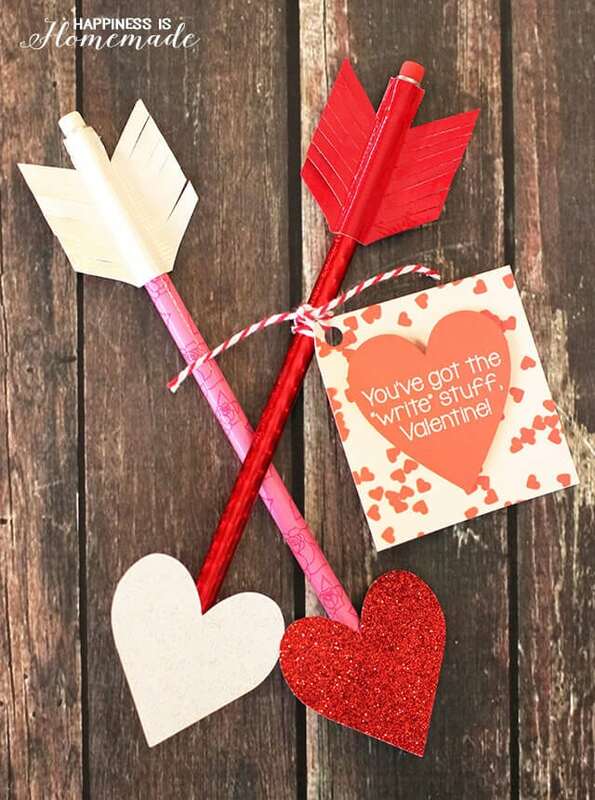 I added a “You’ve got the ‘write’ stuff, Valentine!” card tied on with some red and white baker’s twine. 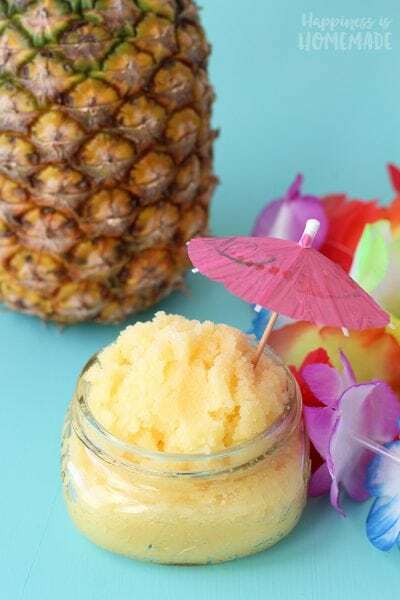 Quick, easy, and totally adorable! 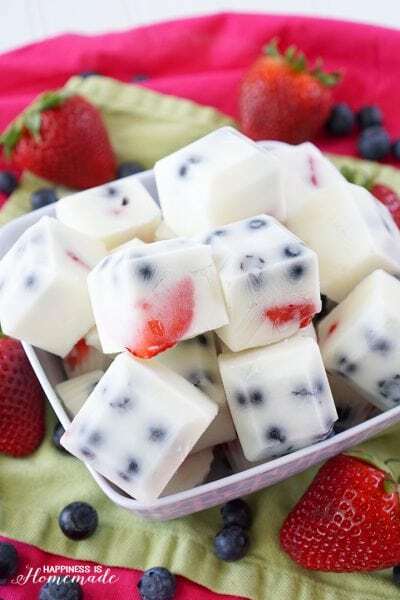 I’m smitten with these darling non-candy treats! 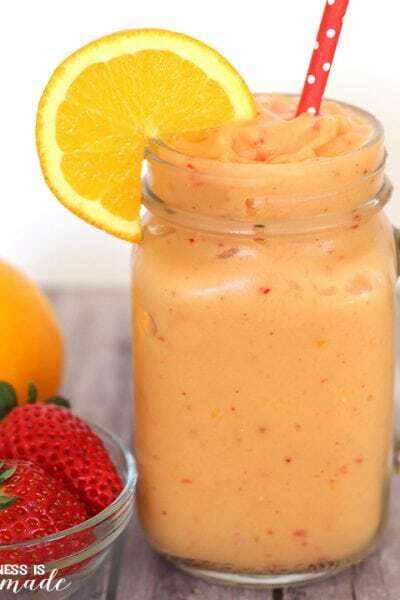 The kids think they’re pretty cool, too! 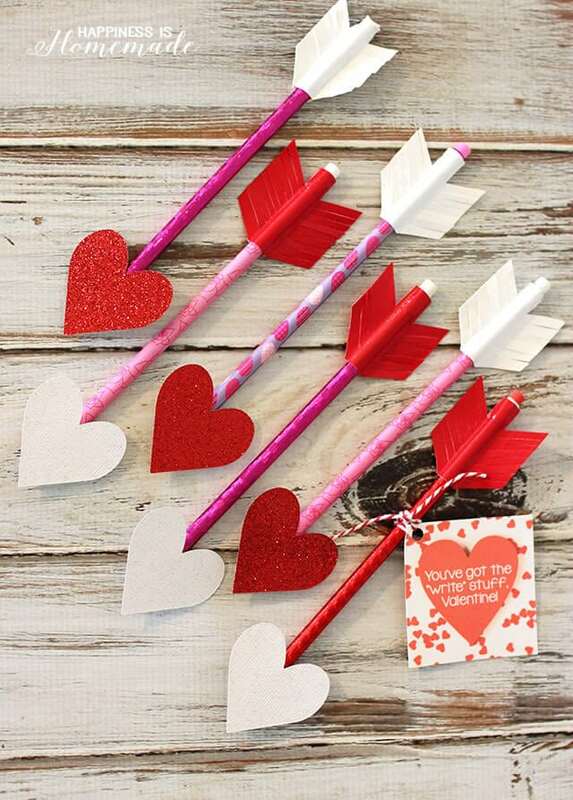 These sweet heart pencil arrows take just a few minutes to create, and you can pass them out to all of your friends for under $5 per classroom! 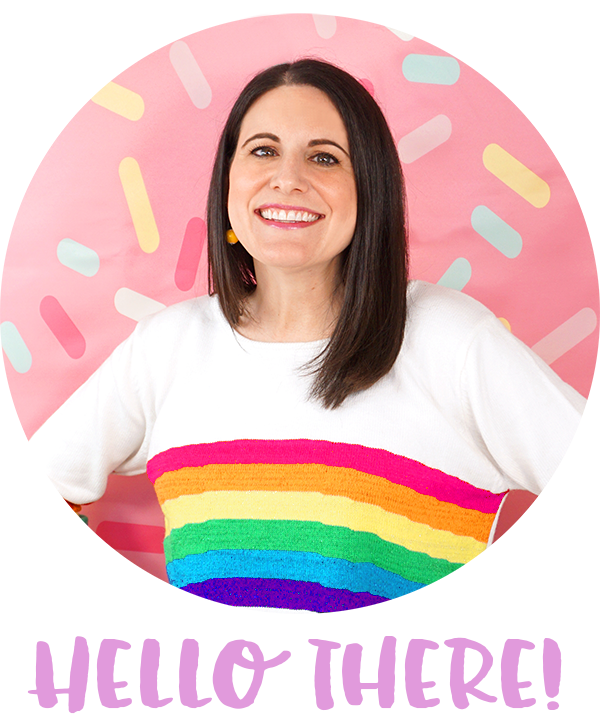 CLICK HERE TO DOWNLOAD & PRINT!